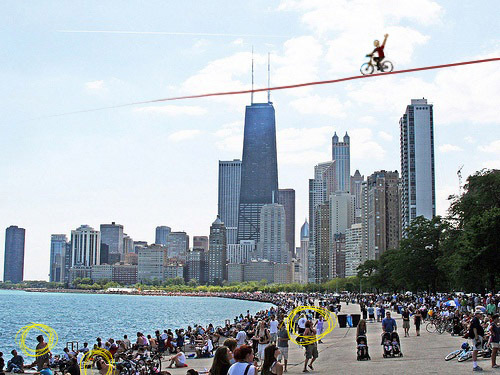 “Slackline Around the World Week 8: SlackBiking to Some Fanfair in Chicago” Reposted from Wend Magazine’s blog. Circled a few of the folks who were caught gawking at yours truly as I slackbiked my way out of Chicago. 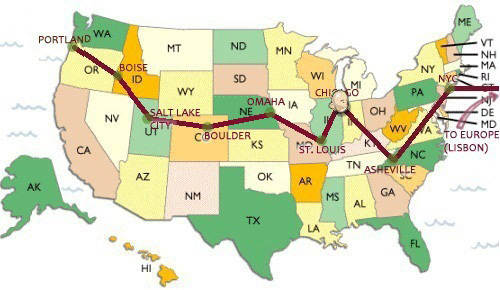 Since the trip from St Louis to Chicago was so short I decided I’d keep biking on to Asheville and leave my bike there. Planning to trade it to some lucky Ashevillian (?) for burritos, coffee, beer, or juice–or all of the above.